Credit unions originated $82.7 billion in loans in the first three months of 2013 by anticipating evolving needs among their membership. As an operator or investor in 14 different CUSOs, Maps Credit Union is not affraid to pioneer new cross-industry collaboration. Download the Anatomy Of Maps Credit Union PDF. A northwestern cooperative steps outside the sandbox to ensure members' financial lives are as serene as their physical surroundings. 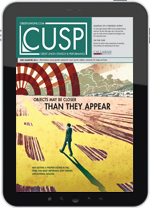 A look behind the curtain at four of Maps Credit Union's most successful CUSO endeavors. 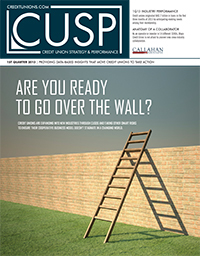 The evolution of Maps' CUSO culture has not only expanded the credit union's footprint and business capabilities but also helped balance the credit union in a tumultuous business world. Your Job. My Job. Our Job. Maps Credit Union embraces the cooperative spirit to maximize its competitive advantage in six distinct areas. Strategic planning encompasses every component of the cooperative business model. 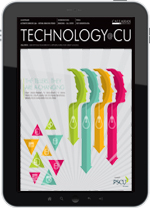 Here's how credit unions can chart an effective, adaptive course that stands the test of time. From building strategic headquarters to fostering cultural and economic resources that help draw the masses, follow these best practices to reinvest in the home team. Credit union executives explain how to hire the right individuals and invest in the right resources to effectively mitigate risk in a wild financial world. Member One FCU uses ERM to identify and measure the impact of current business risks while assessing emerging threats. Complex regulations, increased regulator pressure, and risk-based exams have forced risk management to be more global. EECU weaves effective risk management into the credit union by starting with its people and culture, then using technology to enhance risk analytics. Every successful business gets knocked down at one time or another. But as these examples demonstrate, it's how you get back up that matters.